Angela founded Seniors Unlimited Lifestyles, Inc. (SULI) in 2004. As SULI’s CEO, her corporate and community-based team plans and deliver administrative, transportation, information technology and facilities management services. Angela develops programs that maintain the company’s focus on its commitment to core values and principles of service. She also oversees new development strategies, public relations and corporate communications efforts. Angela has an extensive background in serving seniors for the past 20 years. She is a member of several organizations in the Hampton Roads Area. As part of Senior Citizen Fellowship of the Church of God, Virginia, she diligently works as a housing transitional coordinator, assigning and securing housing for seniors. She is also a member of Outreach Ministry, Berkley Community Norfolk, Virginia, Bellamy Church of God Organizational Committee, Hampton Roads Housing Consortium, The Virginia Beach Task Force on Aging and BEACH (Bring an End to All City Homelessness) planning committee. The goal of the BEACH planning Committee’s is to end homelessness in the city of Virginia Beach. Angela has successfully completed training in Quadel Consulting – HUD Subsidizing Multifamily Housing, Alzheimer’s Association – Foundations of Dementia Care Reducing Risks of Falls & Promoting Restraint-Free Care and Southside Geropsychiatric Services – Mental Health & Aging. Angela is also the proud 2016 recipient of the Hampton Roads Housing Consortium (HRHC), Housing Warrior Excellence Award. The award recognizes individuals and organizations that have contributed to improving housing conditions for the region. Kedron Springer was born and raised in Virginia Beach, Virginia and graduated from Tallwood High School. After high school she attended Mary Washington College, in Fredericksburg, Virginia, where she pursued, and obtained, a Bachelor of Arts degree in Political Science. Upon graduation from Mary Washington, Mrs. Springer moved back to her hometown and attended Regent University School of Law where she earned her Juris Doctor. Currently, Mrs. Springer took a leap of faith and started her own law practice in Chesapeake, Virginia. The law firm of Kedron A. Springer, P.C. was established with the intent of forming lifelong relationships with clients and to be able to assist them in all areas of their life. The law firm assists clients in real estate transactions, short sale negotiations, civil disputes, uncontested divorce, preparation of Wills, Powers of Attorney and Advance Medical Directives as well as other matters. 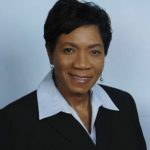 Mrs. Springer is a member of the Virginia State Bar, Virginia Bar Association and American Land Title Association, Virginia Land Title Association. Ms. Springer has been named as one of the Virginia Legal Elite in Real Estate Law. When Ms. Springer is not assisting clients she enjoys spending time with her husband and their two children exploring all of the exciting things to do around Hampton Roads. She is also very active in her church and community and enjoys working with Seniors Unlimited Lifestyles to assist in providing services to seniors in our community. Gerald Porter is the vice president of the board for Seniors Unlimited Lifestyles Inc. His prior work experience includes managing a rental car company, working as an auto adjuster for a major insurance company and site manager for renovating Bellamy Avenue Church of God. Currently he works for a computer company as government contract driver. Gerald is focused on helping Senior Unlimited Lifestyles Inc. provide housing for low income seniors, so that they will have a better quality of life in their later years. Gerald lives in the Historic South Norfolk community of Chesapeake, Virginia and is a graduate of Indiana Tech with a BS degree in Business. Brenda Arrington RN, CPHCQ is a local PerformanceImprovement professional with over thirteen years of experience in Quality and greater than twenty-four years as a nurse. Brenda earned her Bachelor of Science in Nursing from the University of Southern Mississippi- Hattiesburg . She is an Open School Quality Scholar from the Institute for Healthcare Improvement. She is honored to be a Certified Professional in Healthcare Quality (CPHCQ) by the HealthCare Quality Certification Commission. In May of 2016 she was recognized by Chi Eta Phi Sorority Inc. as an Unsung Hero”(Nursing). Her current role is Performance Improvement Quality Coordinator for Chesapeake Regional Hospital where she works with the medical staff departments to ensure physician improvement through practice evaluation and peer review. Her previous role was Quality Manager for Odyssey Healthcare where she developed her foundation for Quality and a confidence in her ability to affect patient outcomes, cost of care and employee satisfaction. She is passionate about working with non-profit organizations that actively seek to improve lives and take a special interest in the well-being of the elderly. She joined The Board of Directors of Seniors Unlimited Lifestyles Inc. in August 2015. She brings to the table her enthusiasm for positive outcomes and quality of life. Evelyn Cooper has been a Clerk Transcriber with Social Services for a number of years. She enjoys working as a fundraiser with her church and other organizations. She has experience working with seniors and enjoys pride in taking care of them. Ms. Cooper is a current resident of Virginia Beach, Virginia and has served in the Outreach Ministry in the Berkeley community of South Norfolk, Virginia.